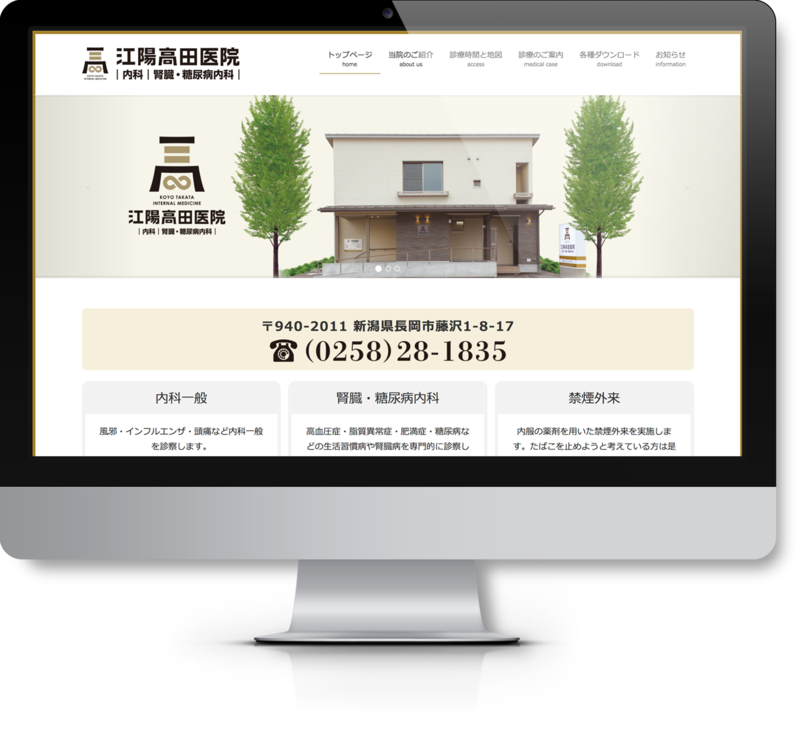 We have made a website for "Koyo Takata Internal Medicine" in Nagaoka city, Niigata. It made by using one of a WordPress templates. We tried to design a sense of stability and confidence, using based around the color gold which shows in the logo mark.